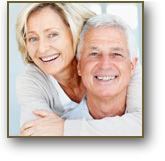 Thank you for your interest in our San Clemente Dental Office. 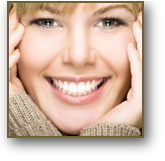 Dr. Cheryl McDonough and her team are committed to uncompromising dental care in a comforting personalized environment. We believe that optimal dental health is achievable by up-to-date patient education, the demonstration of oral hygiene methods, and routine preventive dental care. We strive to prevent dental disease and identify existing problems before they become serious to save you time, money and unnecessary discomfort. 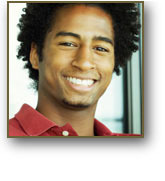 We further personalize your dental care by only seeing one patient at a time. Our office is not a clinic and we are proud to accept new patients through word of mouth referrals. We only recommend treatment options for our patients that we would have for family or ourselves. We adhere to the practice of giving patients options in their course of treatment with the ultimate goal being a life time of smiles with natural teeth. Dr. McDonough believes that the practice of dentistry is a life-long learning experience and continues to educate herself on current dental advancements. It is our belief that by using the best materials and advanced dental technologies we can focus on patient safety and high quality care that endures over time. It is with a passion for dentistry and compassion for individuals, we can enhance the quality of our patient’s lives.